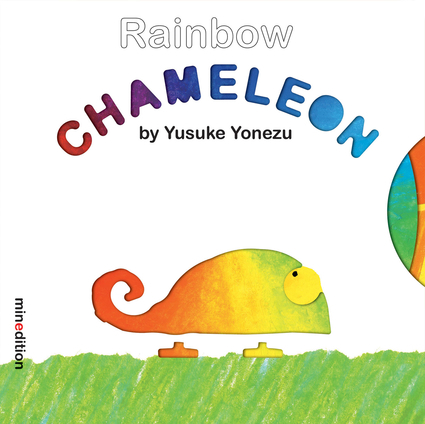 A lively story about accepting and embracing change, filled with interactive surprises for little handsSome changes can be quite important in life, which the chameleon discovers when he changes colors in order to hide from a snake, a wolf, and a crocodile. But sometimes one also has to change in order to be noticed—especially when a lovely lady chameleon enters the picture. This playful, hands-on journey to learning that change can be a positive thing features color dials and pull-tabs in addition to gorgeous, inviting illustrations. Yusuke Yonezu is an author and illustrator of children’s books, including 5 Little Apples, the Guess What? series, Moving Blocks, Please Don’t Cry, We Love Each Other, and Yum Yum!